Former FBI Director Robert Mueller, special counsel on the Russia investigation, leaves following a meeting with members of the Senate Judiciary Committee in June 2017. Facebook co-founder, Chairman and CEO Mark Zuckerberg testifies before a combined Senate Judiciary and Commerce committee hearing last week. Independents, meanwhile, are more mixed — 35 percent view Mueller favorably, similar to March. But 30 percent of independents view him unfavorably, up 9 points, and 34 percent aren't sure or don't know enough about him. A 45 percent plurality of all Americans believe Mueller's investigation is fair — a 7-point net drop from March — while 30 percent believe it is unfair and just over a quarter are undecided. But again, the Mueller probe is being seen through an increasingly partisan lens by Americans. For the first time, a majority (55 percent) of Republicans say his investigation is unfair, with just 22 percent calling it fair — which is a 17 point swing since last month. Almost three-fourths of Democrats say Mueller's investigation is being handled fairly, a 5-point net uptick since last month, along with almost half of independents — though there's a 9-point net drop. Democrats and independents back Mueller by slightly higher margins than the entire American public, but even those numbers have fallen over the past month. 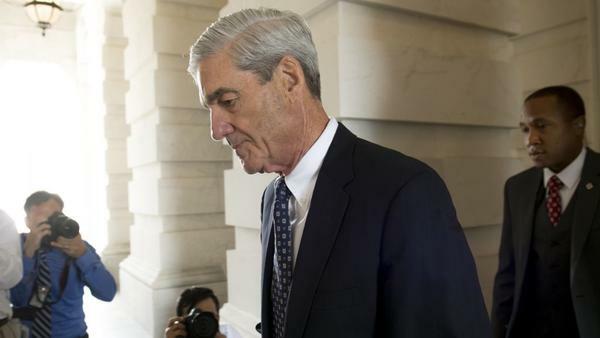 Seventy-nine percent of Democrats want Mueller to finish his investigation, though that's down from 83 percent in March; just 10 percent say Mueller should be fired, up from just 4 percent last month. Among independents, 68 percent say Mueller should be kept on with 14 percent saying he should be let go — a 14 point swing from March, when just 8 percent said Mueller should be fired and 76 percent supported keeping him. There have also been big changes in how the public views the FBI — driven by a surge in Republican distrust, the poll shows. The new numbers come just as former FBI director James Comey, who was fired last year by Trump, is releasing his explosive new memoir and giving several media interviews, including one to NPR. That swing has been due to rising Republican anger. For the first time, a 56 percent majority of Republicans say the FBI is biased against the president, with just 34 percent saying it's only doing its job. That's a 16-point swing against the FBI among the GOP, when just fewer than half of Republicans said in February that the FBI was biased but 43 percent still thought it was doing its job. Democratic views of the FBI have remained about the same in the past few months, but there's been a major uptick among independents, too, who think the FBI is biased against Trump. Today, 62 percent of those polled say the FBI is just doing its job while 30 percent say it's biased against the president. That's a 22-point swing from February, when almost three-quarters of independents said the FBI was just doing their job and only 20 percent thought it was biased against the Trump administration. Faith in the FBI has remained about the same since polls earlier this year, however, with 54 percent of Americans saying they have some degree of confidence in the FBI and with 41 percent having little or no confidence. Those numbers have tightened by 5 points since February. Americans also think it's possible Russia will seek to interfere in the U.S. elections again this November, the poll indicates, and that Congress hasn't done enough to stop that from happening — though Republicans overwhelmingly don't believe that is a possibility. Overall, 55 percent say Russian interference come November is likely or very likely, while 40 percent say it's unlikely or won't happen at all. That's a net increase of 5 points from last month amid congressional hearings over how Russia sought to influence the U.S. elections through social media platforms like Facebook. However, 61 percent of Republicans say they don't think there will be Russian interference in the midterms, with just 36 percent saying it's likely or very likely. That number among the GOP has dropped by 36 points since February, but they're the only group that still believes there's not a great chance the country will try to interfere. Democrats have believed for months Russia will try to interfere again, with 77 percent saying they will and just 21 percent saying they won't; that's a 32 point swing since February. And since then, independents' views have shifted with a solid majority believing Russia will try to interfere again. This month, 53 percent of independents said they believe the country will try to meddle, while 39 percent don't. However, two months ago those numbers were almost flipped, with 56 percent thinking Russia wouldn't seek to influence the U.S. elections again while just 40 percent thought they would. One thing that hasn't changed since February in the polling is that Americans across the board, by a more than 4-to-1 ratio, don't think Congress has done enough to ensure that Russia won't interfere in the elections again. Seventy-four percent said Congress has done little or nothing at all to prevent it from happening again with only 16 percent saying the've done a great deal or a good amount. That even includes almost three quarters of Republicans (73 percent) who agree that Congress hasn't done enough to prevent Russian interference from happening again. The public also doesn't believe that social media sites such as Facebook and Twitter have done enough in the past two years to prevent Russian interference. Only 12 percent of Americans say they've done enough or a good amount to prevent interference from happening again, while 74 percent say they've done only a little or nothing at all. Those low marks are consistent across party lines and haven't changed much since February, either. Americans polled overwhelmingly don't think Facebook will safeguard their personal information, either. 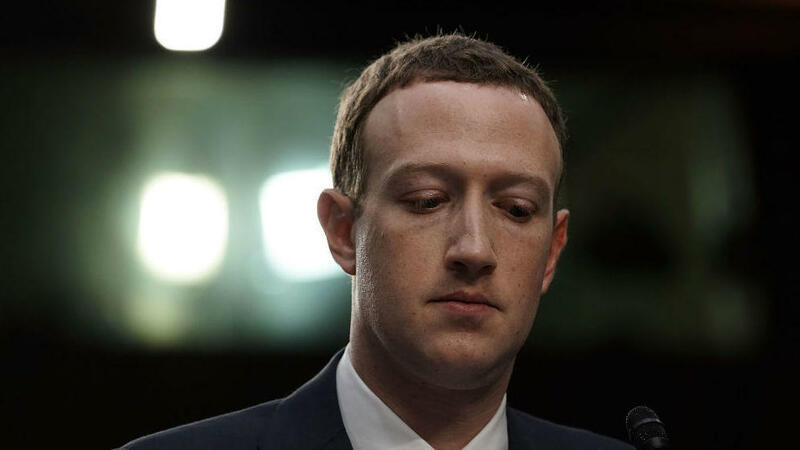 Eighty percent of adults say they have no confidence at all or very little in the social media site to protect their privacy, with only 12 percent having a great deal of confidence or quite a lot of faith in Facebook's ability to do so. Again, that distrust is low among Republicans, Democrats and independents. The poll also showed that people don't trust what they read on Facebook. An overwhelming 92 percent of Facebook users don't have much or any confidence that what they see on the site is true, with only 5 percent having some degree of higher confidence. The NPR/PBS NewsHour/Marist Poll surveyed 1,011 U.S. adults from April 10-13. There is a margin of error of +/- 3.9 percentage points.